A series of photographs on the daily lives of elephants. 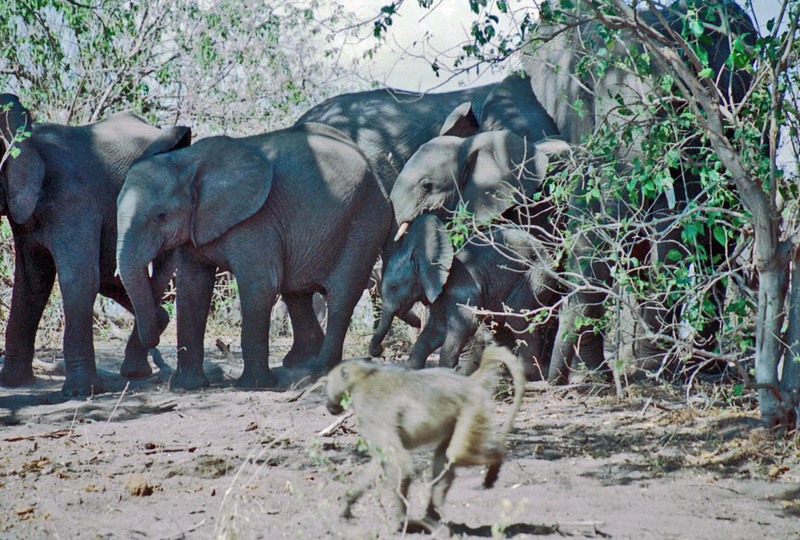 A herd with youngsters reacts to a baboon running by. Moremi Game Reserve, Botswana.